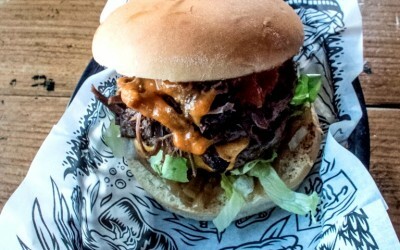 Twisted Burger Company, the much loved burger restaurant based in Sheffield, has returned to Leeds, setting up shop in one of Leeds’ best cocktails bars, Jake’s Bar. 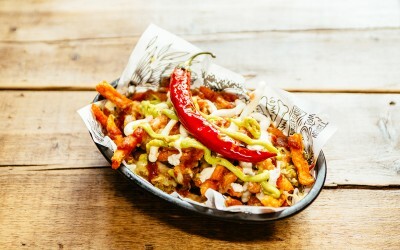 Situated on the bustling Call Lane in a cosy underground space complete with its own distillery making unique spirits, Jake’s is renowned for its amazing cocktails and relaxed environment, so what a perfect home for Twisted Burger. “We are supremely excited to be back in Leeds with a residency at Jake’s Bar. 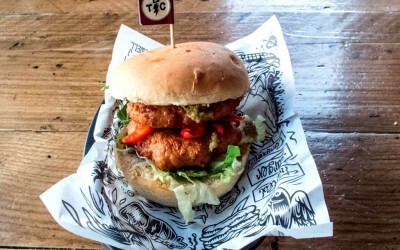 Jake’s is a fantastic independent bar; their passion for cocktails is only rivalled by our passion for burgers! It’s fantastic to be working with a venue that’s been a stalwart of Call Lane for ten years. 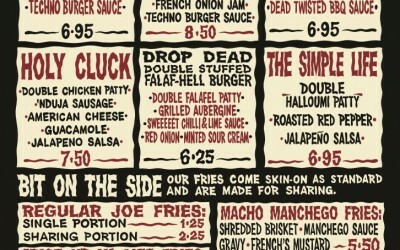 Twisted Burger Company’s diner menu consists of unctuous burgers, and irresistible sides. The star of the show is the Limp Brizket (double beef patty, shredded brisket, American cheese, French onion jam, Techno Burger Sauce) which packs an almighty rich and comforting meaty punch to the taste buds. This is ably supported by burgers featuring their fantastic bacon, and chicken thigh patties (yes, a patty made of bacon!). 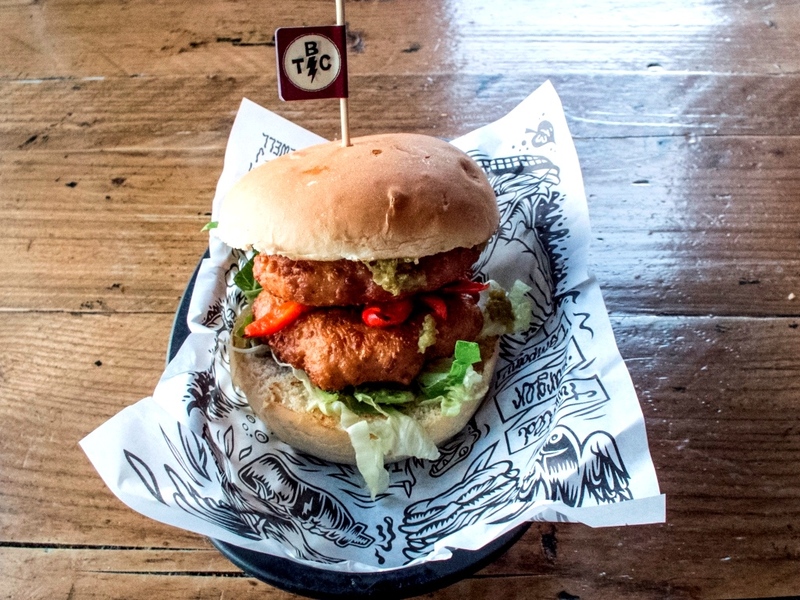 Vegetarians are well catered for with two veggie burgers, including the Drop Dead Double Stuffed Falaf-Hell Burger (double falafel patty, grilled aubergine, sweet chilli & lime sauce, red onion, minted sour cream) which was designed by Oli Sykes of Bring Me The Horizon and Drop Dead. 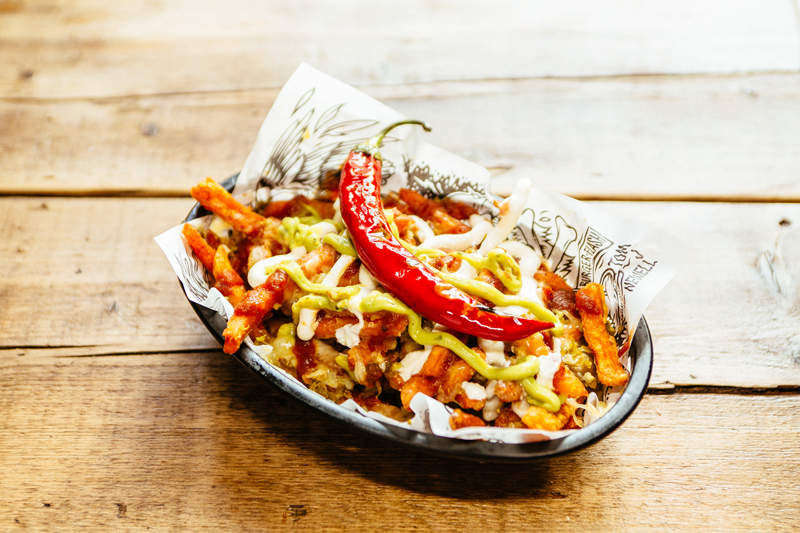 Sides include Jalapeno Business Fries (cheese, guacamole, sour cream, house relish, diced jalapenos, Cajun seasoning, whole grilled chilli garnish) which are like nachos with fries instead of tortilla chips! 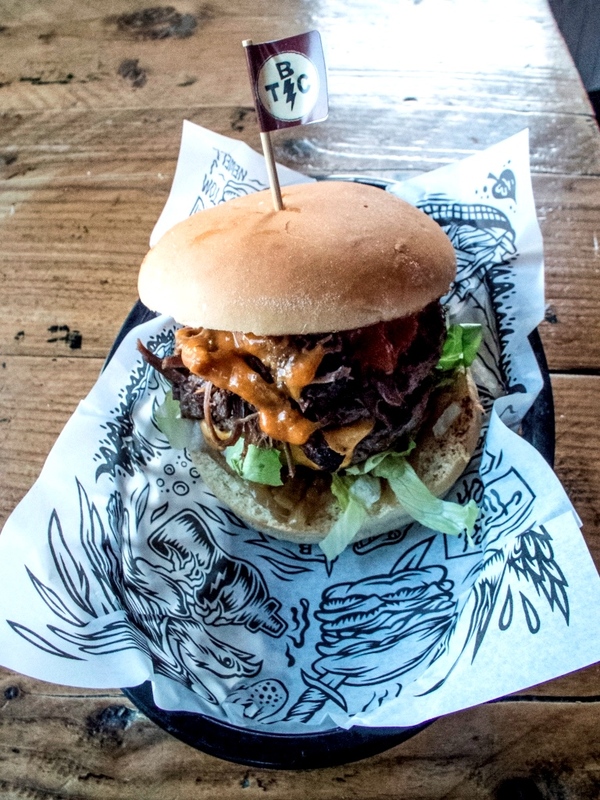 With a host of new burger establishments setting up shop in Leeds this year, Twisted Burger Company Diner at Jake’s Bar is set apart by its inventive menu, friendly Yorkshire attitude, the inimitable rock’n’roll stylings of Tom J Newell, and a playlist curated by Tramlines Festival. 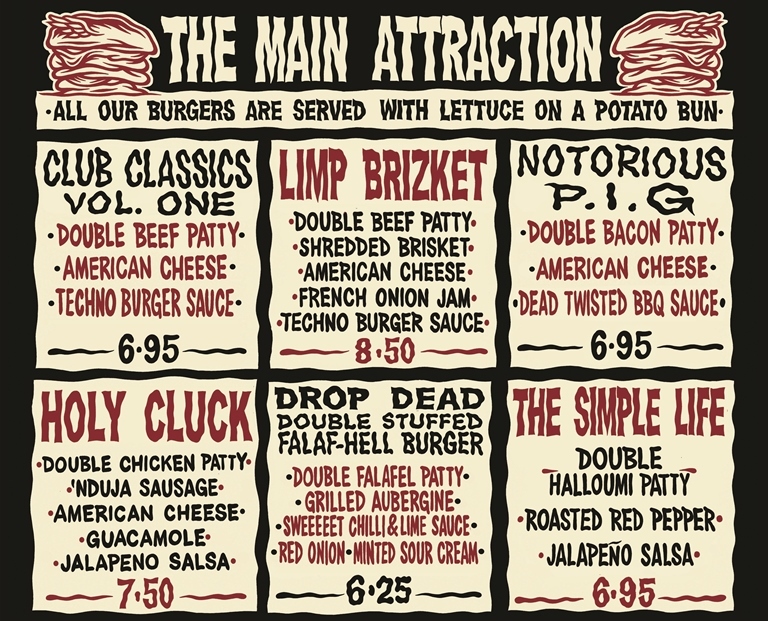 Twisted Burgers served Monday – Friday, 5pm – 10pm. Saturday, Midday – 10pm. 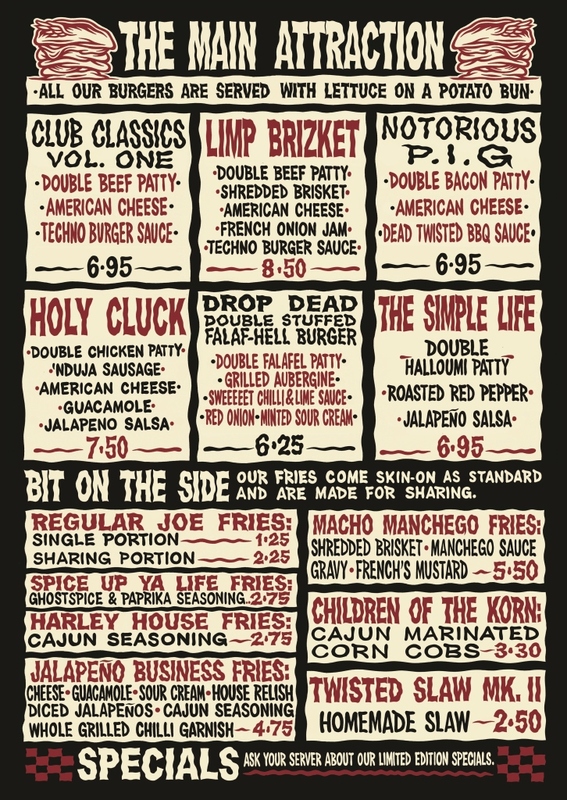 Join the Burger Gang on www.facebook.com/TwistedBurgerCompany or follow @TwistedBurgerCo.